More than 200 were sickened and five died in this spring's E. coli outbreak, the FDA says. 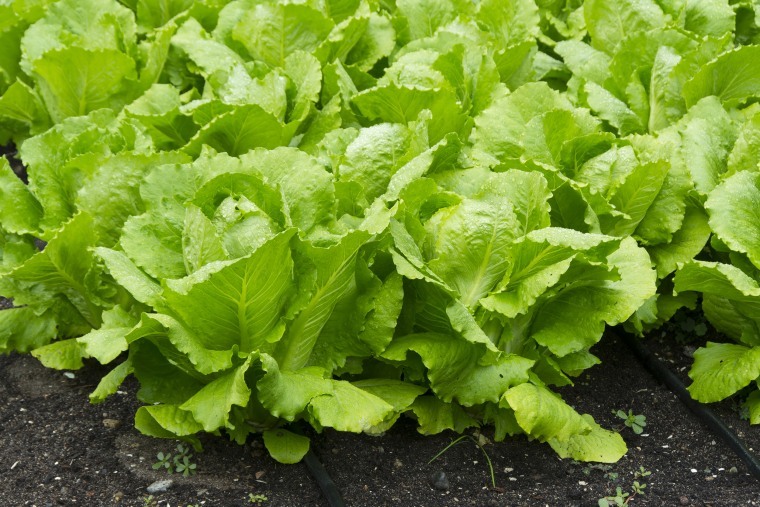 Contaminated irrigation canals may have helped spread the E. coli bacteria that spoiled fields of romaine lettuce and made the crunchy salad green off-limits to millions of Americans for weeks this spring, the government said on Thursday. The outbreak of E. coli disease killed five people and sickened at least 210 in 36 states, making it the largest outbreak of the killer bacterial infection in a decade. It was traced to romaine lettuce grown around Yuma, Arizona. The Centers for Disease Control and Prevention and the Food and Drug Administration cautioned people to avoid romaine lettuce unless they could be sure that it wasn’t grown in the Yuma area. The CDC and the FDA said the outbreak was over weeks ago, but the investigation into how so much lettuce got contaminated will take months. No single farm was implicated in the outbreak. The FDA and CDC said Thursday that they found one possible explanation — contaminated canal water. “To date, CDC analysis of samples taken from canal water in the region has identified the presence of E. coli O157:H7 with the same genetic fingerprint as the outbreak strain,” the FDA said. The last person to become ill got sick on June 6, the CDC said. "Some people who became sick did not report eating romaine lettuce, but had close contact with someone else who got sick from eating romaine lettuce," the CDC said. Most E. coli bacteria are harmless, but one strain, called E. coli O157:H7, can cause severe disease, including a type of kidney failure called hemolytic uremic syndrome, as well as stomach cramps, bloody diarrhea and vomiting. E. coli thrives in the digestive tract of animals. It can get into meat at slaughterhouses and it gets into the soil, into water and onto crops from manure. Manure could get into canal water and that would spread bacteria across any fields it was sluiced into. FDA Commissioner Dr. Scott Gottlieb said the outbreak is clearly over. “More work needs to be done to determine just how and why this strain of E. coli O157:H7 could have gotten into this body of water and how that led to contamination of romaine lettuce from multiple farms,” he said in a statement. The CDC and the FDA are working on several recent outbreaks, Gottlieb noted. These include outbreaks of salmonella associated with Kellogg's Honey Smacks cereal, precut melons and eggs, and cyclospora illnesses associated with Del Monte vegetable trays. Although food outbreaks seem to be in the news more lately, Gottlieb said the food supply is not necessarily any less safe than it has been in the past. “We don’t believe we are seeing more outbreaks,” he said. “What’s happening is that our ability to identify outbreaks has dramatically improved due to new information technologies and laboratory techniques,” he added. The complex food supply makes it difficult to track contamination even as it creates more opportunities for germs to spread. “As food moves through supply chain, it often touches many different suppliers and distributors before it reaches the American consumer. This supply chain is even more complex if food is imported,” Gottlieb said.